Gyarmee sharif this month is on 11th Sha’ban 1439 Hijri. This is Aprox on Friday 20th April 2018 (Depending on Lunar date of your country). Abū Ḥanīfa al-Nuʿmān b. Thābit b. Zūṭā b. Marzubān (Arabic: أبو حنيفة نعمان بن ثابت بن زوطا بن مرزبان‎‎, Persian: ابوحنیفه‎‎), known as Abū Ḥanīfa for short or reverently as Imam Abū Ḥanīfa by Sunni Muslims, was the founder of the Sunni Hanafi school of fiqh (Islamic jurisprudence). He is also considered a renowned Islamic scholar and personality by Zaydi Shia Muslims.He is often called “The Great Imam” (Arabic: ألإمام الأعظم‎, translit. 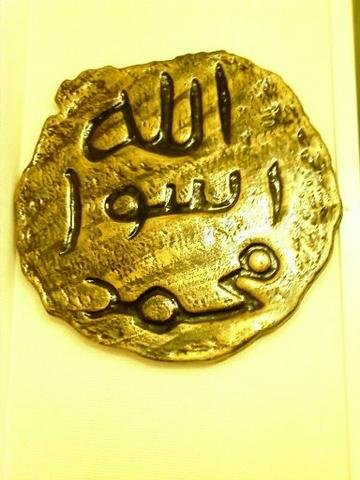 al-imām al-aʿẓam‎). Abū Ḥanīfah was born in the city of Kufa in Iraq,during the reign of the Umayyadcaliph Abd al-Malik ibn Marwan. His father, Thabit bin Zuta, a trader from Kabul, Afghanistan, was 40 years old at the time of Abū Ḥanīfah’s birth. His ancestry is generally accepted as being of Persian origin as suggested by the etymology of the names of his grandfather (Zuta) and great-grandfather (Mah). The historian Al-Khatib al-Baghdadi records a statement from Imām Abū Ḥanīfah’s grandson, Ismail bin Hammad, who gave Abū Ḥanīfah’s lineage as Thabit bin Numan bin Marzban and claiming to be of Persian origin.The discrepancy in the names, as given by Ismail of Abū Ḥanīfah’s grandfather and great-grandfather, are thought to be due to Zuta’s adoption of the Arabic name (Numan) upon his acceptance of Islam and that Mah and Marzban were titles or official designations in Persia, with the latter, meaning a margrave, referring to the noble ancestry of Abū Ḥanīfah’s family as the Sasanian Marzbans (equivalent of margraves) of Kabul (Modern day Afghanistan). Those stories maintain for his ancestors having been slaves purchased by some Arab benefactor are, therefore, untenable and seemingly fabricated. There is a discussion on being of Turkic or Persian origin.But the widely accepted opinion, however, is that most probably he was of Persian ancestry from Kabul. In 763, al-Mansur, the Abbasid monarch offered Abu Hanifa the post of Chief Judge of the State, but he declined the offer, choosing to remain independent. His student Abu Yusuf was later appointed Qadi Al-Qudat (Chief Judge of the State) by the next Caliph Harun al-Rashid. Incensed by this reply, the ruler had Abū Ḥanīfah arrested, locked in prison and tortured. He was never fed nor cared for.Even there, the jurist continued to teach those who were permitted to come to him. In 767, Abū Ḥanīfah died in prison. The cause of his death is not clear, as some say that Abū Ḥanīfah issued a legal opinion for bearing arms against Al-Mansur, and the latter had him poisoned. It was said that so many people attended his funeral that the funeral service was repeated six times for more than 50,000 people who had amassed before he was actually buried. On the authority of the historian al-Khatib, it can be said that for full twenty days people went on performing funeral prayer for him. Later, after many years, the Abū Ḥanīfah Mosque was built in the Adhamiyah neighbourhood of Baghdad. The tomb of Abū Ḥanīfah and the tomb of Abdul Qadir Gilani were destroyed by Shah Ismail of Safavi empire in 1508. In 1533, Ottomans reconquered Iraq and rebuilt the tomb of Abū Ḥanīfah and other Sunni sites. The next new moon occurs on 2018 April 16 at 01:57 UT/GMT. 05 Hazrat Khwaja Faqrudin Abdul Kher (R.A)- Sarwar Sharif , Rajasthan.